This week ASISTA Immigration Assistance is privileged to join National Immigrant Justice Center, Human Rights First and over 150 organizations in submitting a comment in response to the Department of Justice and the Department of Homeland Security adoption of an interim final rule barring access to asylum for those who enter the United States outside ports of entry. You can read the comment here. We oppose the interim final rule as it is antithetical to preserving the rights and dignity of survivors of violence and their families. The interim rule is the latest attempt by the Administration to relentlessly and consistently curtail access to relief for those who have a legal right to protections. 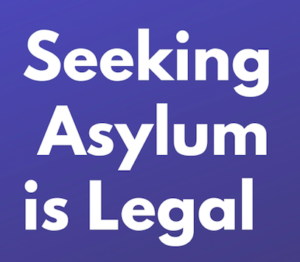 The interim rule is illegal and undermines our obligations to asylum seekers under the law. We stand in solidarity with the organizations and individuals challenging this unconscionable policy in court and call on the Administration to immediately withdraw the rule and to dedicate agency efforts to creating policies that protect due process, the safety of survivors and maintains access to critical protections afforded under the law.